Magnesium is an essential mineral. It contributes to important functions of the body, including relaxation and contraction of muscles and the function of enzymes. Magnesium is found in many of the foods you eat, however, many people are not consuming enough. Low magnesium levels lead to multiple health issues, including heart arrhythmias. A magnesium supplement helps control arrhythmias, however, it isn't clear which is the most effective form. Magnesium supplementation aids in controlling a heart arrhythmia. Adding to your dietary intake of magnesium typically starts with adding magnesium-rich foods to your diet. If your physician determines you are deficient, she will prescribe a magnesium supplement in capsule or tablet form. In severe cases, your doctor may order magnesium injections. This will be done in a hospital setting. Do not start a magnesium supplement without consulting your physician first. Heart arrhythmia are treated many ways. The method of treatment is dependent on the type of heart rhythm you are experiencing. Researchers from the University off North Carolina at Chapel Hill report IV magnesium is preferred for ventricular arrhythmias. The risk of developing a fatal arrhythmia was decreased by nearly half with IV magnesium. Researchers are also studying a correct dosage of oral magnesium supplement to be taken to avoid arrhythmias instead of a treatment for an already developed arrhythmia. 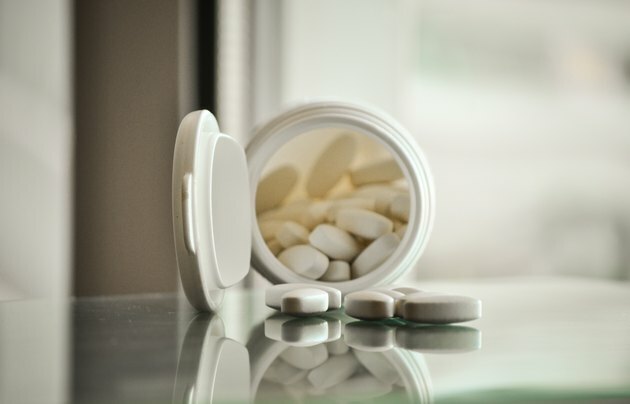 Oral supplements are commonly prescribed when magnesium levels are slightly low to normal, as they still show signs of improvement for the heart. Magnesium and calcium work together to maintain a healthy heart rhythm. When your levels are low, the heart's electrical system becomes erratic. The heart starts beating faster and irregularly. This lowers the efficiency of your heart and causes organs and major muslces to not obtain the proper amount of oxygenated blood. Magnesium also plays an important role in the sensitivity of insulin and blood pressure regulation. These two health issues are both high risk factors for heart disease. Magnesium is available in many different types of food. Foods that are abundant in magnesium include green leafy vegetables. Spinach and spinach leaves have high levels of magnesium from their chlorophyll. Legumes, unrefined grains and nuts are also good sources. Tap water is also considered a source -- the "harder" the water, the more magnesium present. What Are the Causes of Low Magnesium & Potassium?